- Entry on the day will cost £40 with half of that money going straight to our charity partner Against Breast Cancer, payment MUST be made in cash (there are no card facilities available at the event and no cash machine, so please come armed with cash!!). - Riders entering on the day will NOT get a timing chip (we have only ordered enough for those that have pre-entered). - We cannot guarantee that riders entering on the day will get a full goodie bag (again we have only ordered what we need of most items), however you WILL get an event medal and at least a little something in your goodie bag. The Cotswold Spring Classic returns for it's 10th anniversary in 2019, bigger and better than ever. 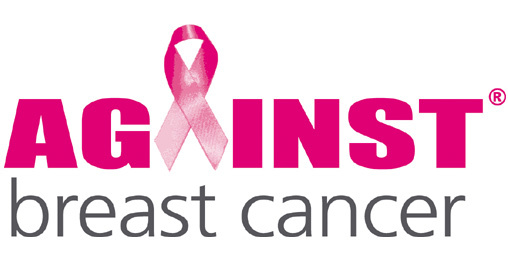 We're proud to once again be teaming up with Against Breast Cancer to raise money to support their vital research. Breast Cancer affects so many people's lives, you'd be hard pushed to find someone that hasn't had it inpact on them or their family. Our increasingly popular Easter Sunday 4-up Team Time Trial will be back for 2019 - with an increased capacity to 100 teams. More details will follow shortly, but it looks set to be a cracking start to the two days of riding and racing to help burn off that Easter chocolate. Costing just £29.50 to enter, the sportive offers three route options (160km, 100km and 55km) through some of the best countryside the Cotswolds have to offer, meaning there's something for everyone. The 55km route gives riders new to the sport, or getting back on the bike after the long winter, the perfect first ride back. And if you're planning on riding either the 100km or 160km events you won't need to decide on the route you're taking until you get to the split point on the day. We've also got a sneaky route extension up our sleeves for the long route - just incase you think you're tough enough!! Keep an eye out, as we'll be announcing details our our "gauntlet" section shortly!! Each route will be comprehensively signed, with well stocked feed stations out on the route (one for the 55km and 100km routes and two for the 160km route), motorcycle outrider support, medical cover from the Wilts Ambulance Service and mechanical support from Performance Cycles (at the start, each feed station and also in a support car out on the road). Once back from the ride, riders can expect a finishers medal, a goodie bag (complete with the all-important Easter Egg!! ), hot food and showers / changing facilities. Add to this the ample free parking, electronic timing and sign-on goodies, and at just £29.50 per rider it stacks up to a great value day in the saddle!! 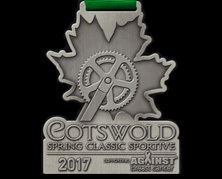 The Cotswold Spring Classic has sold out every year for the last nine years, even with a massive 25% increase in capacity in 2016 to 1,000 riders. For 2019 we're sticking to a maximum of 1,000 riders. So don't delay, get your entry in as soon as it opens on Friday morning. 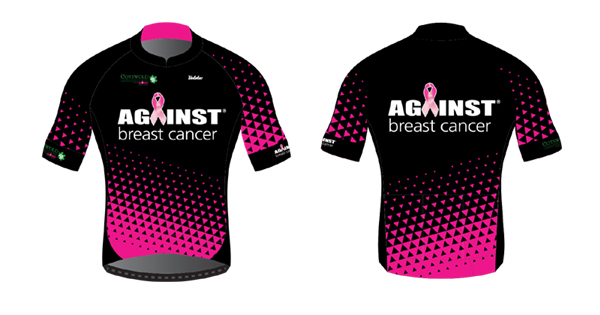 Back for 2019 is our Cotswold Spring Classic supporting Against Breast Cancer cycling jersey - this limited edition jersey can be yours for just £50 when you sign up to the event. These are only available on a pre-order basis, and will be ready at the event HQ for you to collect when you sign on. We won't be ordering additional 'stock' so make sure you order yours when you sign up.